Mike Rohde’s seminal work on #sketchnotes is a brilliant contribution to the knowledge base on communicating and using visual thinking methods. 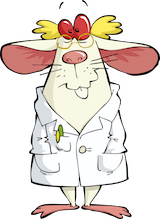 I have recently done much work on using mind map methods to assist those with typical aging, dementia, and cognitive planning for their futures which may include cognitive decline with age or after brain trauma. Mike #Rohde and his disciples say to hand sketch when using his visual thinking model. I am moderately good at simple sketchnoting. See here for early posts on hand-drawn sketchnoting (with examples) for those with dementia (by someone — me — who has dementia). But how might you use a computer program to generate a sketchnote? 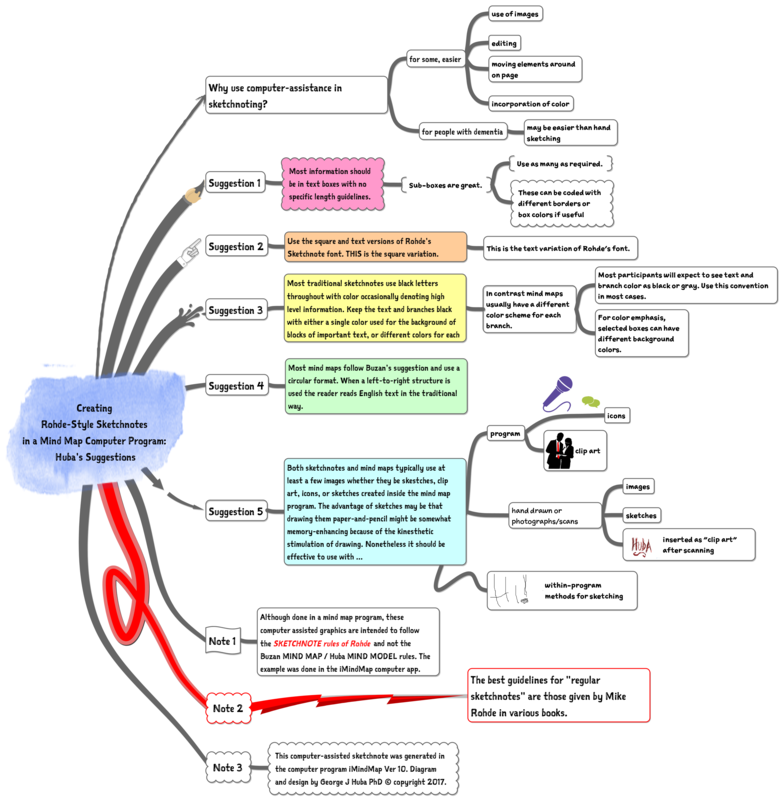 Here is an example prepared with the superb mind map program iMindMap of my guidelines about how to combine strengths of mind mapping and sketchnoting. 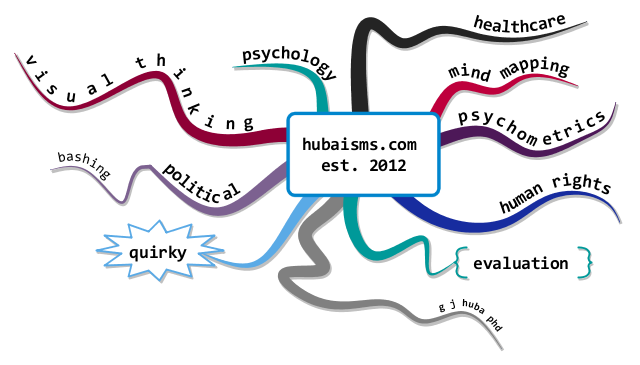 Of course, I prepared this as a computer-assisted sketchnote with iMindMap. Within my application space of developing visual displays for those with typical aging or dementia or brain trauma or concerns about future cognitive decline as they age, I think the best applications of sketchnoting would be instructions for various methods and issues, historical records, and visual thinking for people who usually acquire new information through written or verbal media (conversations). More information on sketchnotes is found on the Sketchnote Army web site.